This beautiful portrait of Marilyn was created by Allan Trivette who is not only a fine artist, but also has the best Elizabeth Taylor web site on the net. 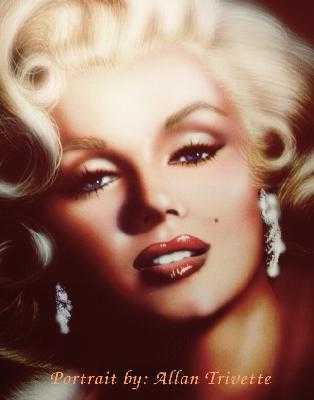 Here are many Marilyn Monroe related links. From fan sites with pictures to sites which sell Marilyn books, phone cards, and even neckties, here is a list of links which can keep you web-surfing for hours or even for days on the subject of our Marilyn Monroe. Although we make a frequent effort to keep up with the links on this page, web sites may come and go without our knowledge. As Forest Gump said, well, I can’t say exactly what he said because he used the naughty ‘S’ word, but suffice it to say that Stuff Happens. So if you find a dead link here, sorry about that! We are grateful to Joshua Greene for his consent to display copyrighted pictures by Milton H. Greene from his book Miltons Marilyn in our M.H. Greene Gallery page. And we also thank George Barris for his consent to display his copyrighted pics on this site too. 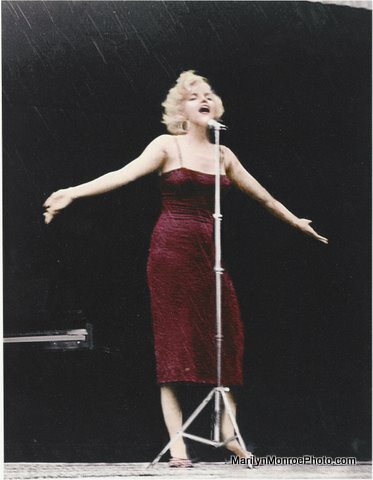 This high quality full color artwork print of Marilyn Monroe singing on stage during a snowfall while on tour of Korea is available from Randy Wyatt, whose father, stationed in Korea at the time took the photo himself. Visit Randy’s site at MarilynMonroePhoto.com to find out more. * Becky’s fan page with links, info, photos, etc. in cooperation with her excellent site. Thanks Becky! A message board dedicated to Marilyn. 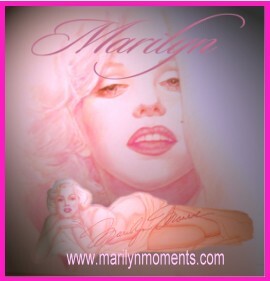 Marilyn web site, or sell memorabilia. A monthly e-zine dedicated to the life and work of Marilyn Monroe. For the Love of Opera Gloves. A site with pics of Marilyn and other stars wearing gloves. 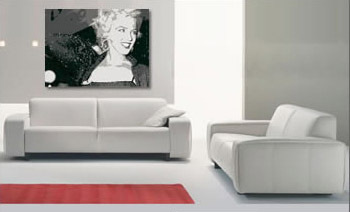 Marilyn The Woman- Fan page with links, photos, etc. *Classic Movies- Mainly pictures (good ones too). * Fan page with photos, movies, info, etc. * Connie Larson’s Marilyn’s Place Hollywood site. Home of the Marilyn’s Place fan club. One of the first and classic Marilyn fan sites. Her site was a big inspiration for me when I started my own. Fan page with photos, movies, trivia, etc. *The Marilyn Pages- Fan page with bio, films, photos, etc. Fan page, art work, photos, etc. Different classic legends with links, info, etc. * Dolphins, Poetry, Marilyn- Brief bio, and links. * Holding A Good Thought For Marilyn- Fan page with trivia, bio, links, etc. 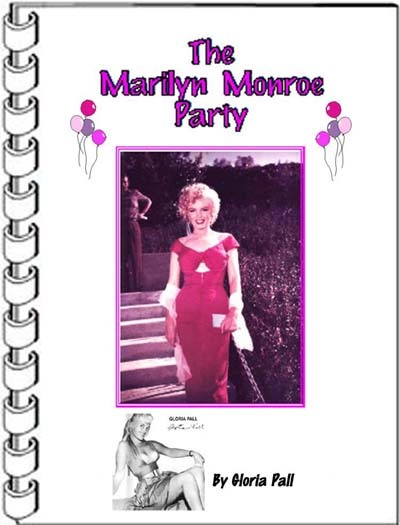 Roy Turner has researched and presents information on the early life of Marilyn which has been published in some of the major biographies of Marilyn. He has also been busy making some great new pages featuring Marilyn’s movies here! Or how about some Marilyn magnets for your refrigerator? This book contains numerous and related references to Marilyn Monroe since she served as a role model for Debbie Harry, who as a child fantasized that Marilyn was her birth mother. Ms. Harry also has been dubbed as “the Marilyn Monroe of punk.” And they both are very “glam” as well. You are of course welcome to give me a link on your site. 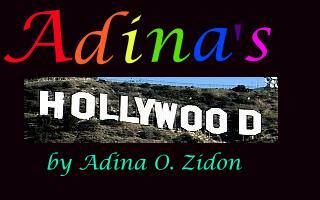 and my banner which was created by Melinda, who has the great Marilyn and the Camera web site, is here for you to use. My next book, due 10/3/16, is “Marilyn Forever,” whose four chapters–Victim, Vixen, Valentine, Venus–comprise entirely celebrity quotes about MM (many by celebs not born when she died). Book makes clear there was so much more to Marilyn than “just” the 20th century’s most famous female face. Its format obviates speculation or opinions from the author (don’t too many MM bios offer too little new info and reveal almost as much about the author as about Marilyn?). “Marilyn Forever” is beautifully designed and illustrated (but is not a photo book), and is a labor of love (I didn’t do this one for the money). Publisher’s not a biggie (Taylor Trade is a division of Rowman & Littlefield) and there’s no ad or p.r. budget for this book/tribute. Is it possible to let your site’s fans and followers know that this book exists (or will, very soon)? Looking forward to hearing from you (you’re one of just four sites I mention at book’s end, in the Acknowledgments page). I’d like to send it to you. Your email button didn’t work for me – I have a link to a site where it’s posted. If link does not work for you, send me an email; I’d be happy to send it to you – you’ll love the way-out story! I have a long and short version…maybe the CGI short can sell the whole movie and I am beginning to shop it around now. Thank you.